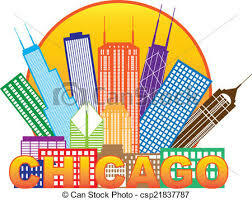 COOL TOPIC "GUN SAFETY SOLUTIONS"
INTERESTED IN GOING TO CHICAGO? You can register by going to LWV.org. Rates increase tomorrow, June 1, so make your decision as soon as possible. Your registration, plane, and hotel reservations costs are your responsibility. Our local league will reimburse each delegate up to $675.00 to defray expenses. This payment is allotted after attendance/participation, and receiving receipts and a payment voucher submission. Leadership Palm Beach County Comes to a Close for 2018. A year of Leadership Palm Beach County is coming to a close on June 7 when we get our Leadership Pins. It has been an exciting year! We began with a two day orientation at the Jupiter Beach Resort where we met our fellow participants...there were 55 of us from incredibly varied backgrounds of business, non-profit and government. We learned what to expect, and what was expected of us. It was fun, informative, and exhausting. On all day excursions, we learned about different aspects of Palm Beach County, from tourism, the arts, education, the environment, transportation and government. We traveled to all areas of the county, Tequesta to Boca Raton, and the Atlantic to Lake Okeechobee. We also did public service projects putting in more than a thousand hours for good causes. Most importantly, we learned that we live in paradise. I made friends that will last forever and above all, contacts that will help the League grow and prosper. Our very own gun safety expert and member, Tom Gabor, will present at our next Cool Topic on Saturday, June 9, 2018 at 9:30 a.m. at the P B Post Auditorium. The Post is located at 2751 S. Dixie Hwy., West Palm Beach (corner of Belvedere and S. Dixie). 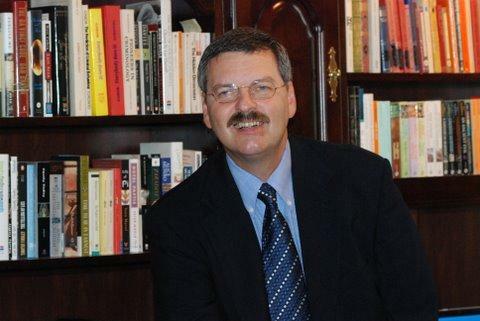 In addition to being a League member, Tom is also an author, and gun safety expert who works internationally advising governments and other groups on gun safety. We are very lucky to have him as a resource, a member, and a presenter! Don't miss this timely topic. Remember, even though our Cool Topics are free, we ask that you register as space is limited. 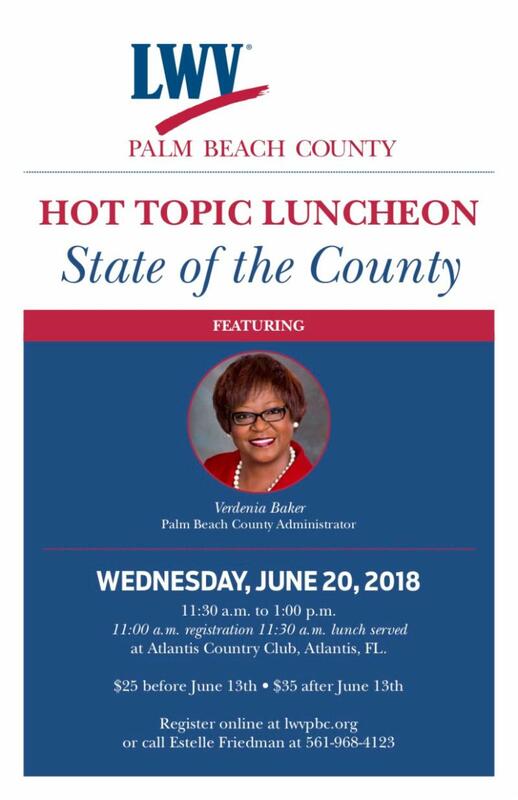 Please don't miss our next Hot Topic at Atlantis Country Club where Palm Beach County Administrator, Verdenia Baker will address County issues and concerns. 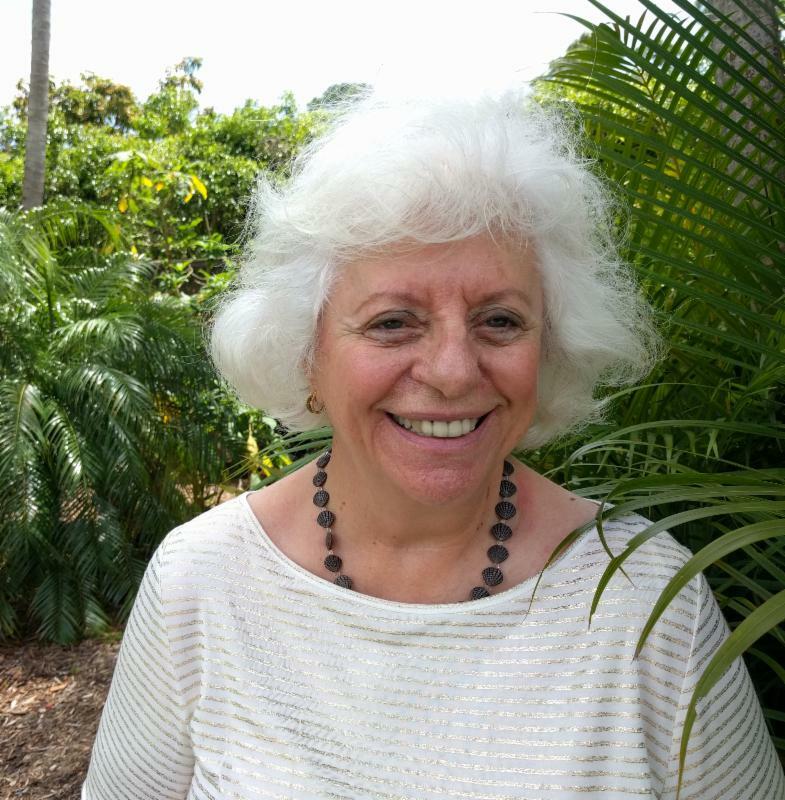 Ms Baker is responsible for carrying out the policies of the Palm Beach County Board of County Commissioners. 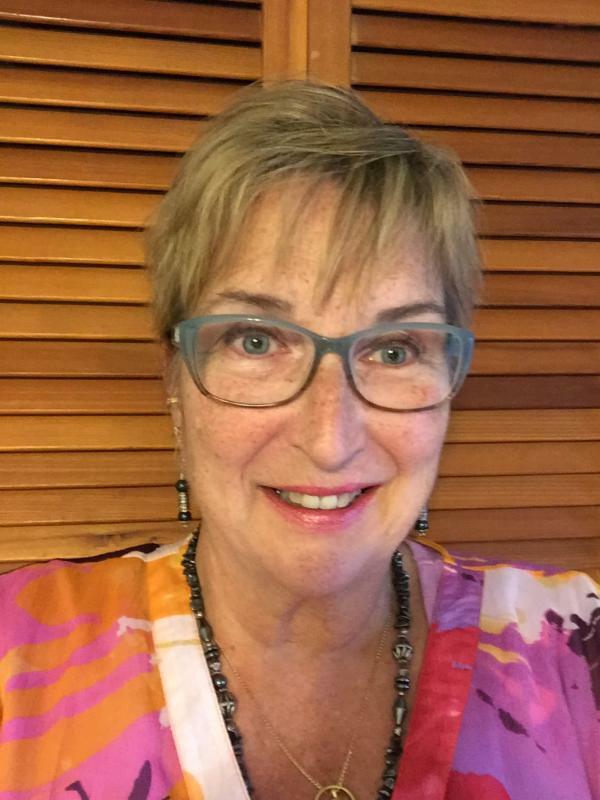 A certified financial manager, she manages the daily operation of county government, which includes more than 6,300 employees, an annual budget of approximately $4.4 billion, and serves a county population of more than 1.4 million residents. It is on Wednesday, June 20th, at 11:00 a.m. The cost is $25 if you register before June 13, $35 after. Either click the button below or call Estelle Friedman at 561-968-4123. Originally published in 2000 and updated in 2008, The Tyranny of Good Intentions remains a provocative, if somewhat depressing, text. The authors demonstrate how laws designed to prevent bad behavior or ”crack down on crime” fail to protect the individual as crusading legislators and unscrupulous enforcers of the law and prosecutors turn the law into a weapon. As the presumption of innocence is abrogated, the consequences are severe. The authors assert that the United States “has not only the largest percentage of its citizens imprisoned but also the largest absolute number in prison.” This amounts to about 1 in 32 American citizens -- 700,000 more people than are imprisoned in China. More importantly, our belief in who we are and what our Constitution provides is shaken. While no solutions are offered, this bipartisan broadside provides stimulus to examine and reflect upon the unintended consequences of our policies and positions. 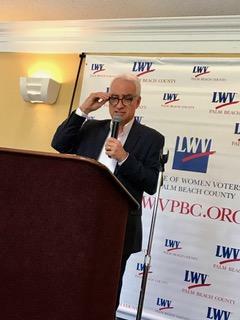 Frank Cerabino talked to a full house of League members and guests at our May Hot Topic. He told stories about politics and elections that had the room in stitches. The 2000 Election and the case of Bush v. Gore were prime fodder for this funny man from New York. 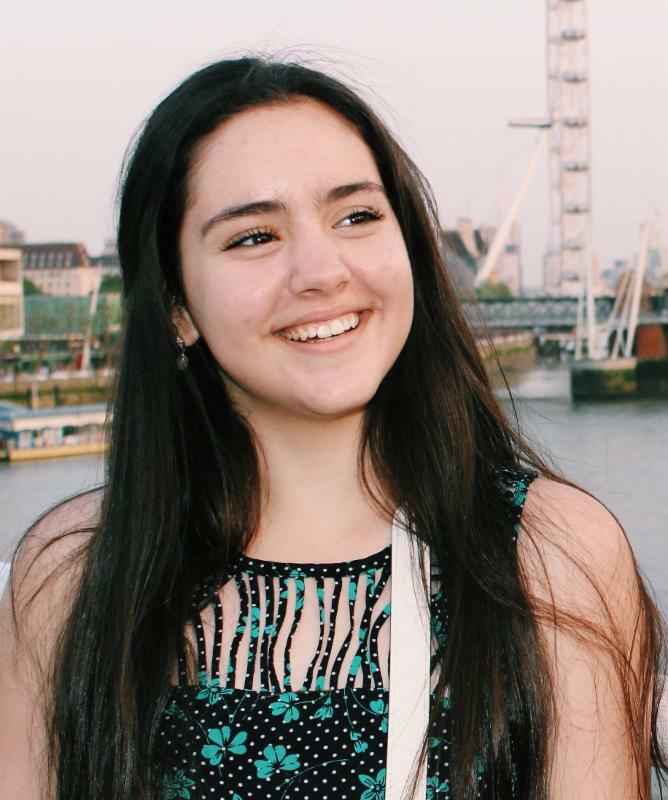 Our interns, Dayalis Zamorra and Faith Maniti have touched our hearts. We were delighted to meet them and proud to work with them over the past year. They made a positive difference. As they graduate High School and venture off to college, all wish them nothing but the best knowing they will keep up their good work wherever they go and whatever they do. We hope they keep in touch with us and the League. ﻿I just wanted to thank you both (again) for all that you have done to help me build my character and become a better person. Truly, I would not be the person typing up this email if it were not for the experience that I had with the League of Women Voters, and furthermore, with both of you as my mentors. I think about both of you every day, and I am writing this email less than a week away from my long-awaited graduation. Thank you both so much. My plans for this fall are to attend New York University as a Martin Luther King, Jr. Scholar, majoring in international relations. 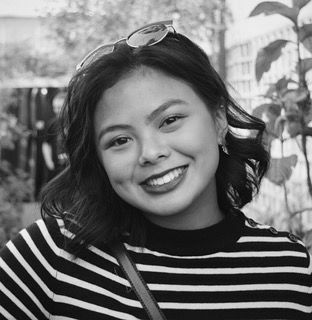 If it were not for the League, I do not think that I would have gotten to this point in my life, nor would I have possibly thought of NYU as my college choice (it was seriously at the bottom of my list, but the League made it possible! ), nor would I have ever received such a generous scholarship for community and social work. Again, thank you both so much. You have no idea what working with the League has meant to me. I will miss you both dearly. FRANK CERABINO Presentation Enjoyed: Our May Hot Topic luncheon was a big success. In fact, so many people waited until the last minute to register, we had to turn people away. Please make your reservations early for the Cool and Hot topics since they are very popular. (it is easy to register on line at lwvpbc.org . If you were one of the people who wasn't able to purchase Frank's book, you can reach him at fcerabino@pbpost,com . We're Going to the Theater! 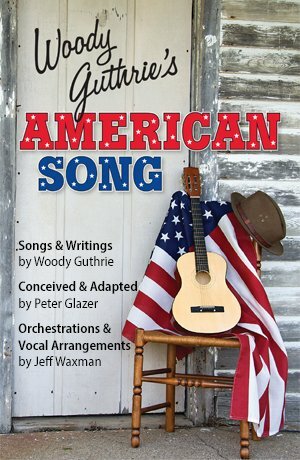 On July 25 th , we have reserved seats for at least 25 of us to go to the matinee (2:00) to see the fabulous musical, American Song at Palm Beach Dramaworks. We will wear our League badges or buttons and sing along to these wonderful songs we all remember. Don’t miss this day when we just have fun! Email Mary Jane Range at mjrange@comcast.net to reserve your ticket. For contact information, go to the member directory at lwvpbc.org. For the member password, contact dkostrub@aol.com or call 561-852-0496. The Forum Club of the Palm Beaches is a non-partisan political and public affairs organization. The Club hosts a variety of thought leaders. Previous speakers have been Supreme Court Justices, historians, politicians and broadcast personalities. 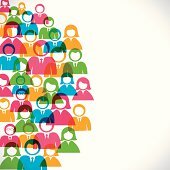 Attendance to the events is for members and their guests. One of our members, Mary Jane Range is also a member of the Forum Club. When there is a speaker who is thought to be of interest to the League, Mary Jane will organize a table for League members. The meetings are held at either the Kravis Center or the Convention Center both centrally located in West Palm Beach. The event includes a buffet lunch and parking is free at both locations. Tickets for the 2018 season have been $55.00. Checks are made payable to Mary Jane and she emails the tickets to those attending because the Forum Club only accepts payment from members. A new list of interested League members is being formed for the Fall season. If you wish to be notified of the Forum Club events where a League table will be organized please email Mary Jane at mjrange@comcast.net . You will then receive emails announcing events where Mary Jane is hosting a table. If you can spare a bit of time and effort from September 23rd to October 27, we need your help delivering one of our signature products, the Voter Guide. This is our bi-annual project that provides much needed information on candidates and ballot issues to the voters. Please contact Joyce Sullivan at jtfsullivan@comcast.net to lend a hand. We will be moving, fingers crossed, to the new platform in time for the June 15th issue of NEWS . Be sure to let me know what you think. During these last few months of transition, including June, we have been fairly lax in our scheduling of articles for the NEWS . I am hoping to get back on a regular schedule beginning in July. I will try to send a reminder to group Chairs a few days before the articles are due in case you have something you want submitted that month. Unless there is something special happening, Advocacy, Board of Directors, Development, Enviornmental Issues, Gun Safety, Health Care, Membership, NPVIC, and Voting Rights Coalition articles will be published on the 1st of the month. 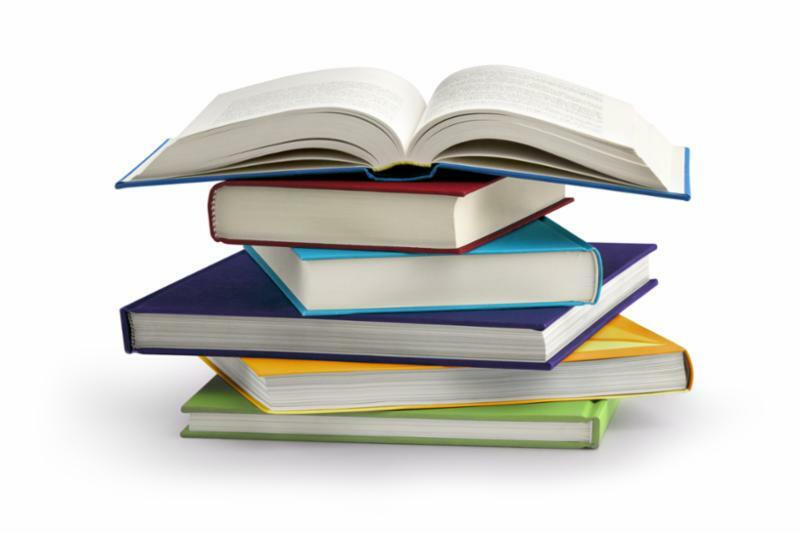 Book Reviews, Civic Education, Daytrippers, Education, Housing, Member Outreach, Regional Meetings, Speakers Bureau and Voter Services will run on the 15th. Writers, be sure to get me those articles at least 15 days prior to publication.